With the upturn in the housing market and the demand for new homes bricks are in short supply ! In fact many new developments are being delayed by a shortage of them and this is in turn contributing to the housing crisis and the gap between the number of new homes planned and those being supplied. Brick manufacturers who faced going out of business in 2008 have had a complete turnaround in fortunes. To cope with current and anticipated national building demand, brick works have also re-opened in Ewhurst, Surrey, Hartlebury, Worcestershire, and Claughton, north Lancashire. 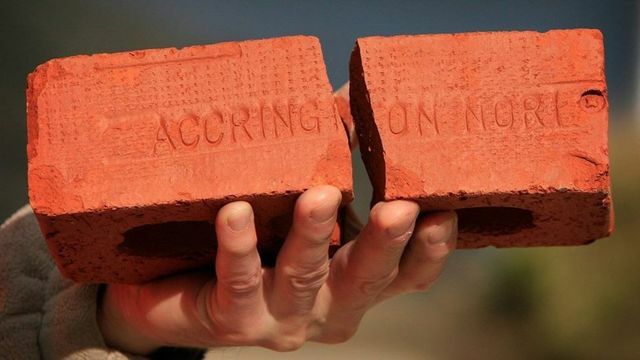 A new plant has started in Chesterton, Staffordshire.UK brick stocks more than halved from 702 million bricks in 2010 to 349 million last year, according to the ONS. Shortages caused architects to report delays to projects, some taking as long as five years to get completed. But the stocks have recovered a little since then, suggesting brick makers are coming to terms with the situation.